Arguably the very best camera Pentax ever made, and their only attempt at the professional 35mm market. 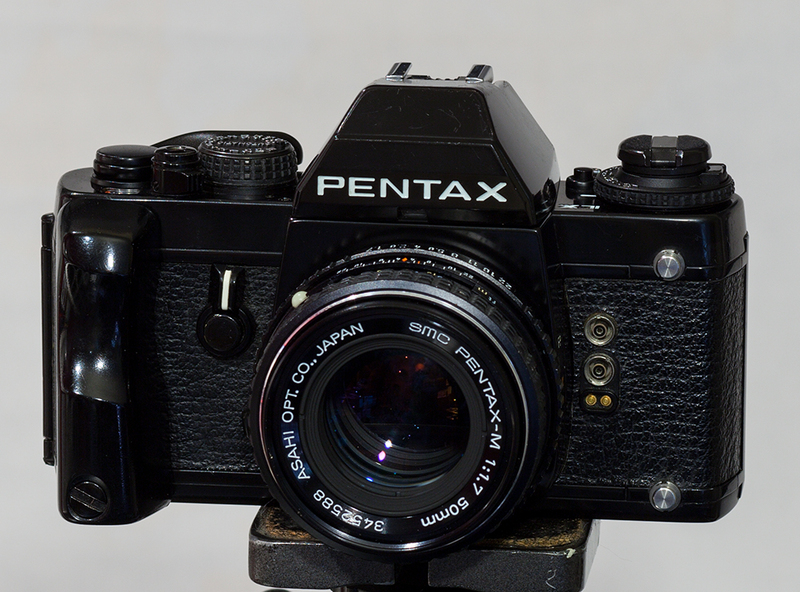 This is a cracking camera in every way! Timed to coincide with their 60th anniversary, the LX caused quite a stir when introduced. 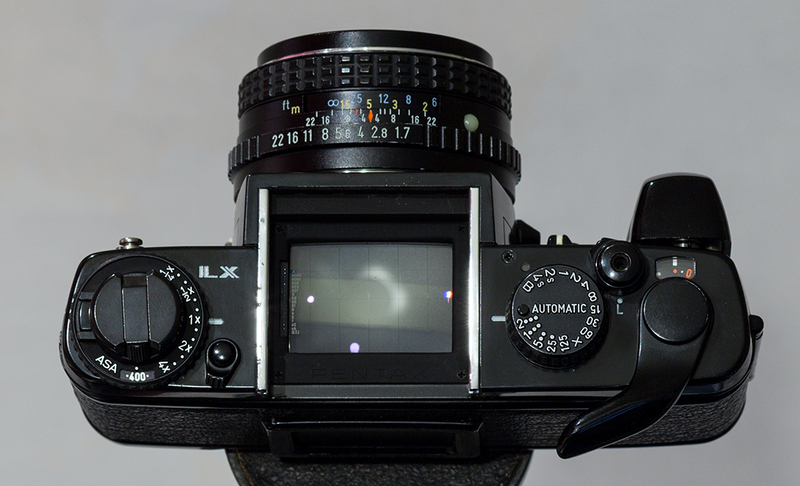 Unlike other professional system cameras – those with interchangeable everything – the LX was very compact. 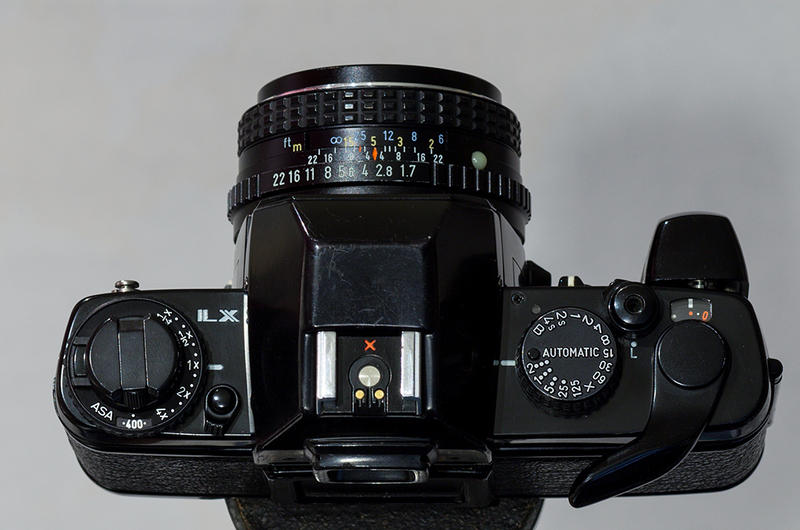 The introduction of the MX in 1976 was a serious step towards a more professionally oriented camera, though with no automation at all it was a solidly mechanical camera. 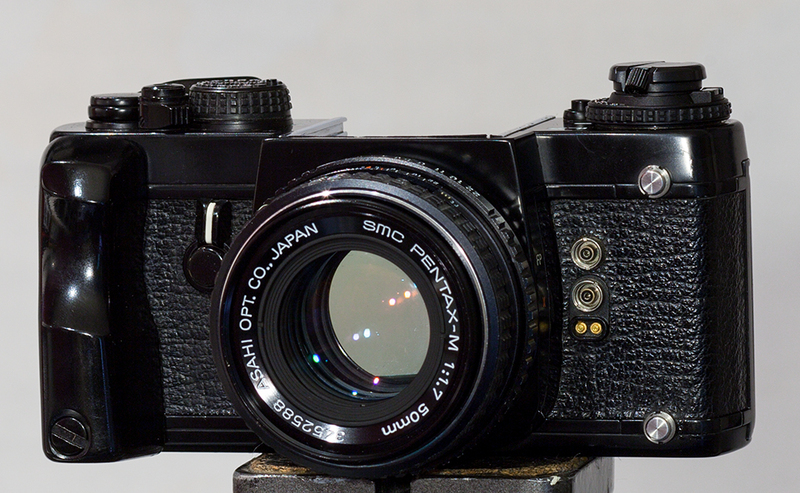 The M series bodies had been a great success and shown that there was a ready market for more compact SLRs than were to be had previously. Horizontal cloth focal plane shutter of 4s to 1/200th second, electro-mechanically timed for the loner duration exposures, but mechanical otherwise. The body is very rugged, being a die-cast aluminum alloy. Unusually for the time extra care had been take to seal all openings and controls against the ingress of dust and moisture, making it particularly suitable for sandy environments. 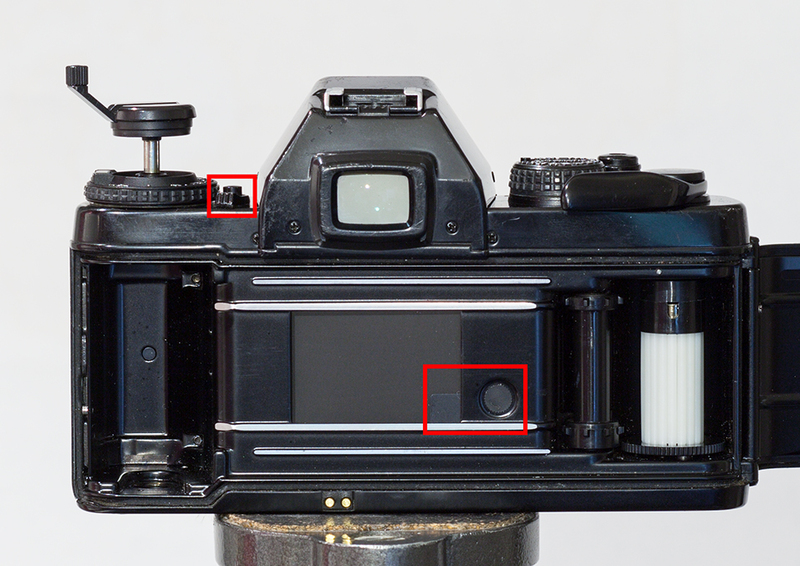 Film frame counter that operates forwards and backwards – you can multiple expose a shot taken much earlier on the roll! 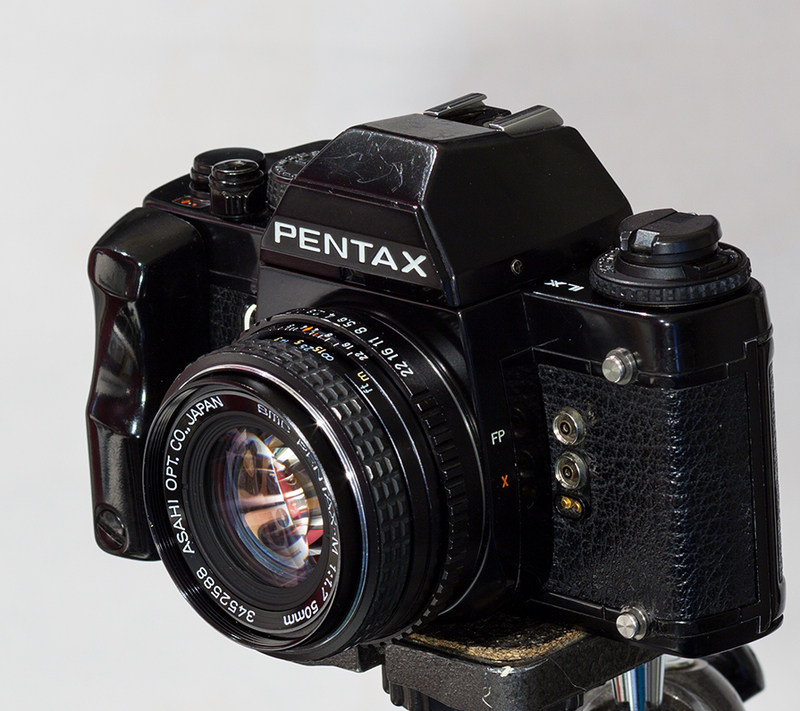 Exposure options were very standard for Pentax, offering full manual or aperture priority automatic – in which mode the meter would operate the shutter up to 125 seconds! As if you have to ask! 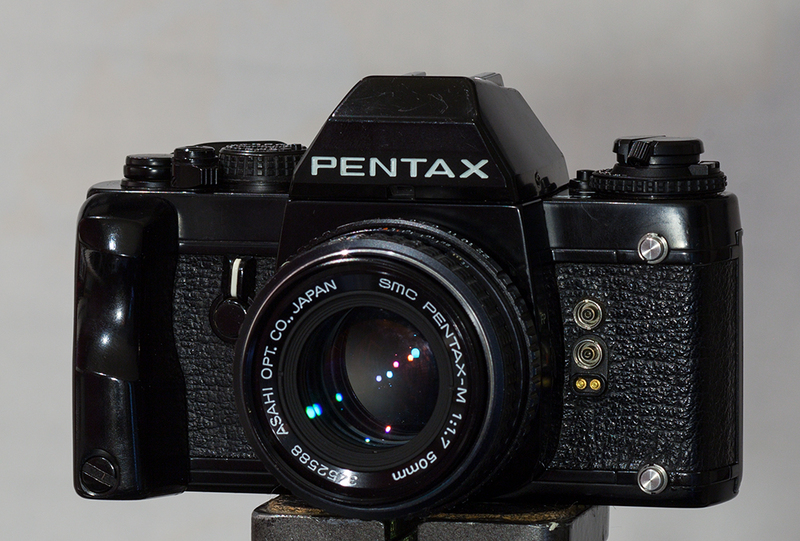 For those of us who grew up with Pentax 35mm SLRs this represents the very pinnacle of development – the compact, user friendly design we loved combined with tank like build quality, and innovations everywhere. 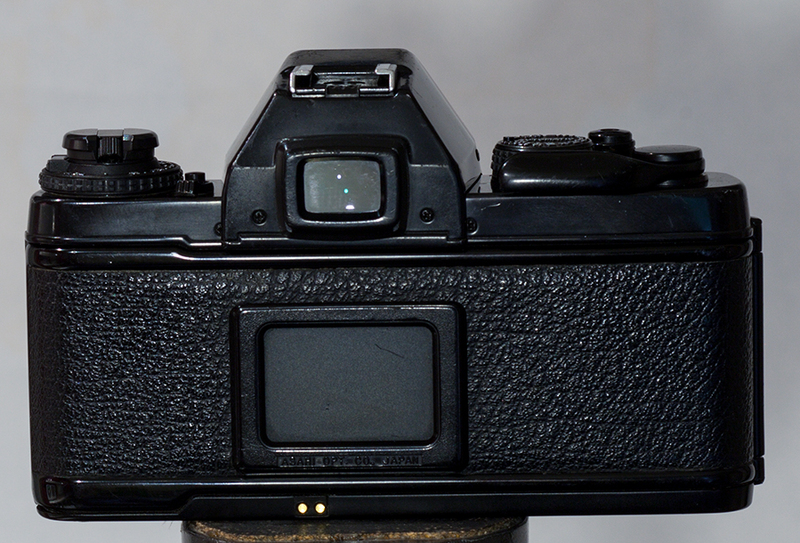 It’s a real jewel of a camera. Purchased December 2012 on eBay for a quite reasonable $245, this example has been well used but appears to have been reasonably well taken care of. No real dents and what wear there is seems very consistent with regular, reasonable use. Markings inside indicate it was serviced in September 1998.